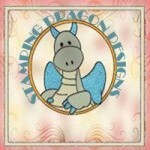 Today I’m mixing freebies that came from two different areas of the Dragons Lair Designs family of sites and creating one card. 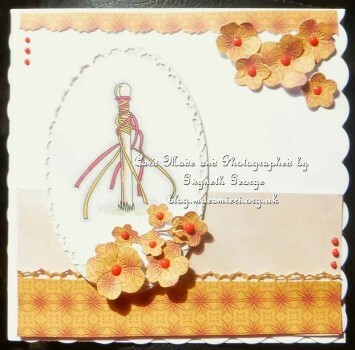 Digi-Stamp – “May Pole” – Freebie for monthly colouring challenge in the Dragons Lair Designs Fan Group. 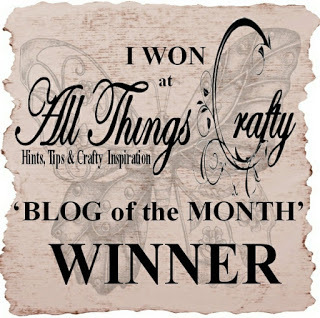 Background – one from collection – This was a freebie with Sunday Showcase of 1st May on the Dragons Lair Designs Inspiration Blog. But it is now available in the Dragons Lair Designs Online Store – Here! To start with I chose one background from the freebie mini collection that came with the Sunday Showcase and printed it out as large as it would go on an A4 sheet of cardstock. I also printed out the digi-stamp that is available in the Fan Group for this month’s colouring challenge and printed it out at the size I wanted for my project. I used alcohol markers to colour in the digistamp before using an oval Tattered Lace die (from the oval shutter card set) to cut the image out. 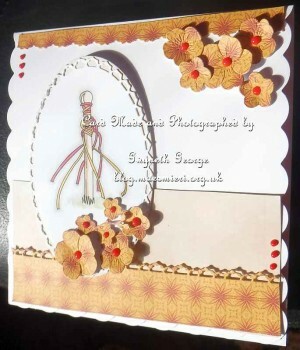 I also used a plain oval die to cut out a creamy coloured cardstock from my stash to go behind it. I used Tattered Lace small flower dies to cut several sizes of flowers from the background, as well as cutting two decorative edge borders (again the die for this came from the oval shutter card set). 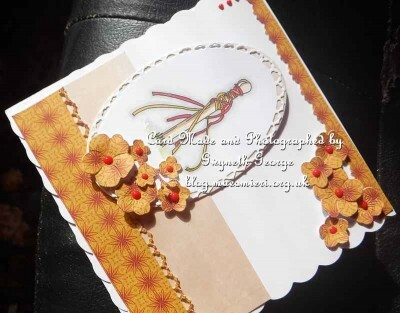 A plain strip of the creamy coloured cardstock was also cut out, but using scissors this time. I then used the glue to attach everything to my card front – I shaped the flowers a bit first using my fingers, and didn’t stick the ovals flat all the way to the edge so that it raised a bit round giving the illusion of dimension while still going into a flat envelope. 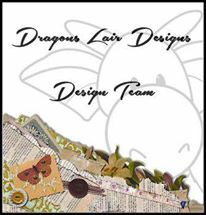 Don’t forget that there’s still plenty of time to pop over to the Dragons Lair Designs Challenge Blog to get your entry into the “Women At Work” challenge this month. Interpret the theme how ever you like. Let’s see how many different working roles that women take on we get covered by the time all the entries are in the end of the month.